Demjanyuk became a "revisionist" icon for a very good reason. A botched Israeli trial gave deniers a chance to argue once again that Holocaust witnesses' testimonies are unreliable, that the evidence was forged, that the Nazi hunters were after innocent people, etc. I'm not going to defend the first Israeli Demjanyuk trial. I reject the argument that since in the end Demjanyuk's death sentence was overturned, the justice was served. That happened by chance - USSR fell and new, exculpating evidence appeared. 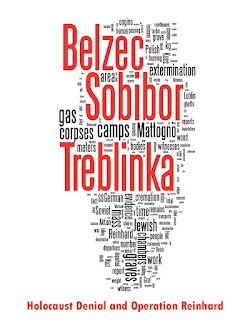 There never was any documentary evidence presented for Demjanyuk ever being in Treblinka, and the sentencing was based mostly on the unreliable identification procedures. Thus, we hold that the OSI attorneys acted with reckless disregard for the truth and for the government's obligation to take no steps that prevent an adversary from presenting his case fully and fairly. This was fraud on the court in the circumstances of this case where, by recklessly assuming Demjanjuk's guilt, they failed to observe their obligation to produce exculpatory materials requested by Demjanjuk. In fact, we will see an example of such a fraud very soon. What I am going to argue is that the historical conclusions that deniers draw from this case are unwarranted. But first let's establish what is known about Demjanyuk's war-time activities. Ivan Nikolajevich Demjanyuk was born on April 30, 1920 in Dubovi Makharyntsi (Dubovyje Makharintsi) in Vinnits'ka (Vinnitskaja) oblast. Doc. no. 1. Found in Vinnits'ka oblast archive. Trawniki service identity pass no. 1393 identifies an Ukrainian, "Iwan Demjanjuk", son of "Nikolai", born on April 30, 1920 in "Duboimachariwzi", as serving in Okzow since September 22, 1942 and in Sobibor since March 27, 1943. This is the most famous document related to the Demjanyuk case. Deniers and Demjanyuk's defence argue that it is a KGB forgery. We will discuss these claims later. I have not seen any challenges to authenticity of the documents which follow. Doc. no. 2. Found in the Lithuanian Central State Archives in Vilnius. Disciplinary report of 20.01.1943. States that two days earlier 4 Trawniki-trained guards were apprehended for violating camp quarantine. One of the guards is identified as "Deminjuk", with identification number 1393 (i.e., the same as in the first document). Doc. no. 3. Found in FSB archives. 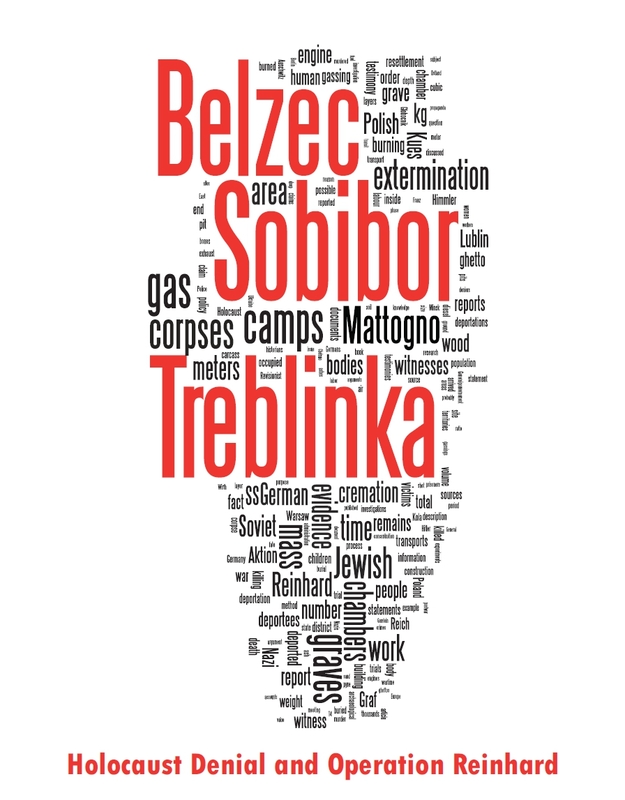 Transfer roster which documents the transfer of 80 Trawnikis to Sobibor on March 26, 1943. 30th in the list is "Iwan Demianiuk", identification number 1393, with date and place of birth the same as John Demjanyuk. The date of transfer is compatible with the document no. 1. Doc. no. 4. Found in FSB archives. Transfer roster dated October 1, 1943, which documents the transfer of 140 men from Trawniki to Flossenbuerg. 53rd in the list is "Iwan Demianjuk", with the same date and place of birth and identification number as the previous Ivans. Doc. no. 5. Found in the German Federal Archives in Berlin. Flossenbuerg weapons log of April 1, 1944, which documents that Wachmann "Demianiuk" received a rifle on October 8, 1943, i.e. a week after the person in document no. 6 was transferred to Flossenbuerg. Doc. no. 6. Found in the German Federal Archives in Berlin. Flossenbuerg daily roster, which shows that on October 4, 1944, "Demenjuk 1393" was assigned to guard the Bunker Construction Detail. Doc. no. 7. Found in the German Federal Archives in Berlin. An undated Flossenbuerg roster of 117 guards, listing "Demenjuk" with identification no. 1393 in entry no. 44. The roster can be dated as created in the period from Dec. 10, 1944 to Jan. 15, 1945. Source: Findings of Fact in USA v. Demjanjuk. So what can we say on the basis of these documents? Even if one disregards the first document as a forgery (and this hypothesis is debunked by all the subsequent documents), even then on the basis of the rest of them one can conclude that Demjanyuk did serve in pure extermination camp Sobibor, and also in Trawniki and Flossenbuerg. Since Demjanyuk denied having ever been in these camps, and concocted a false story about his whereabouts during the war, it can be concluded that probably he has something worse to hide. In any case, the image of a persecuted innocent person cannot be maintained. Well, the Demjanjuk case could clearly be seen as a travesty long before his conviction was overturned. Basically, because Demjanjuk had been in the SS he was whisked away to a foreign country to stand trial. The seems to be the way it works, with the considerable collaboration of the U.S. Government. In the past this would have resulted in a predictable execution, and then the Hoaxsters would use the case as yet more evidence in their Holocaust horn-of-plenty. Handling of Demjanyk by the OSI and initially by the Israelis was a shame. 1) D. did not confess. So arguments about "torturers" and coercion are bunk. If they made Eichmann confess, it would be easy to make D. confess. 2) Yes, D. was saved by chance. But deportation to Israel increased his chances, obviously. What would have happened to him in USSR? Eichmann was probably insane. I don't think they needed to make him confess since the IMT had already declared his role as a Nazi sprocket. Eichmann just had to show up for the cameras inside his bullet-proof cage, and no problem for Israeli spooks. With Demjanjuk, however, there was not merely global headlines but a lot of close interational scrutiny directly because he had been a U.S. Citizen and that his case was treated so dishonorably by the official government Nazi hunters. I agree that had he been shipped to the Soviet Union instead he would have had no chance. No, Eichmann handled his defense quite ably, lying abut his role, etc. Of course, he had no chance against the evidence. Straw Man. I don't think I said that they forced Eichmann to confess. Most Nazi "perpetrators" have attempted the same defense strategy; they realize that it is futile attempting to refute the mythology itself, either in whole or in part, so they affirm the mythology that implicates them the least, or they attempt to do so. Even Höß did this somewhat and he didn't even try to defend himself because he knew that he would hang. He cooperated to save his family and to not be mistreated more than he was. Even those who already have been sentenced to death continue to play their roles because they want to believe in a reprieve for good behavior and collaboration. There is nothing arcane about the psychology. It was the default variable during the Middle Ages when one was accused of witchcraft or heresy, even though it was much easier to employ Plan B and get out the red hot pokers. Demjanjuk defied expectations and stubbornly refused to give any satisfaction when most of the population of the planet would have cracked in the first year on Death Row. In this case it was a little hard to resort to Plan B. > I don't think I said that they forced Eichmann to confess. Strawman. I don’t think I said that you said that. So if Eichmann was not made to confess, his evidence is good one, as far as it goes, especially self-incriminating parts. "Mythology" is what Scott Smith always claims. But it is mythic to believe that the Holocaust is Mythology!